from my point of view, it's a potential ninety-sixth that should scarcely require further explanation, but for those dithering on the perimeter, let me clarify just a smidgeon. even on those friday afternoons, when playing hooky from the office and dressed in civvies aboard a steel italian three-speed roadster, it is incumbent upon me to mentally emulate alejandro valverde or wout van aert (if the road's just a tad muddy). for how otherwise is one to embrace rule #5? i can scarcely be expected to harden the f**k up if i think of myself as but one stage removed from nipping to the averagemarket for pesto and a packet of spinach and ricotta pasta. i'm sure you can see precisely what i mean? adherence to my hypothetical rule is only logical, for aside from the perennial joy of riding one's bike, there is an expected mental aspect of cycling that ought to pervade each and every aspect of the sport/activity. just ask steve peters. thus, on the days when carbon fibre, bendy bars and skinny tyres is flavour of the day, that mental attitude will be honed almost to perfection. if we assume that this is the state of affairs applicable to all in lycra and sportwool, when time comes to adopt the echelon position, all will be second nature; there will be no difference between classic and pro; all will be presented as a gestalt. i used the simile of the echelon for good reason, though principally to add a soupcon of seasonality to the proceedings. 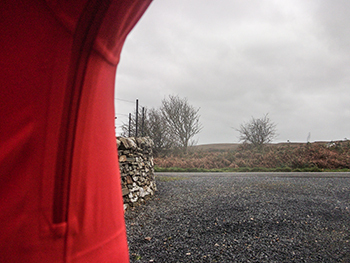 though the ambient temperature (even in the hebrides) has maintained its remarkably mild constitution, a blustery outlook is not only predicted but in point of fact, already here. only today, caledonian macbrayne had cause to cancel the ferry sailing from oban to castlebay on the isle of barra. this is due to winds gusting in the upper regions of 80kph. try getting to debbie's in that without forming an echelon. even on your own. such conditions also impose upon the practised professional the need for appropriate attire, even when professional practice is not necessarily the order of the day. for reasons not altogether clear, my hypothetical world tour contract is valid only on saturdays. that is the very specific day when, should i wish to ride as far and as fast as i can (please note that all speeds and distances are relative), i do. that is the day on which it is necessary to infiltrate only the professional corner of the cycling wardrobe. 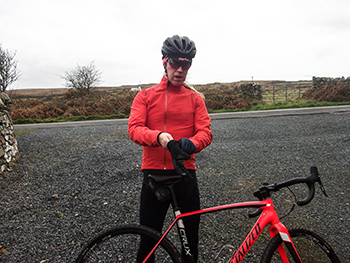 sean yates length bibshorts, race-fit jerseys, casquettes with the peak in the up position and short-fingered track mitts, no matter the weather. at this point once again i might remind you that hebrideans are the flandrians of the west. but what of sundays, i hear you ask? 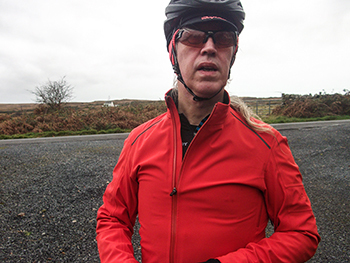 though maintaining that scrupulous professional attitude throughout, the sunday ride is undoubtedly no more than the sunday ride. no-one much cares whether your jersey is short enough at the front to prevent bunching in the sprint. nobody cares one whit that the same race-fit jersey has no zipped fourth pocket for coffee money. 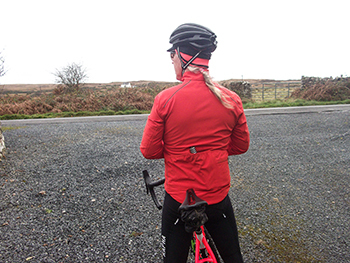 and nobody is much bothered that your rapha classic winter jacket is bereft of the plastic coated central rear pocket and zipped cuffs seen on the pro-team softshell. for those would mark you out as the professional who worked on the sabbath. rapha have an enviable reputation for creating cycling jackets that proffer not only an almost unrivalled sense of style, but a practicality that places them amongst the very best of the very best. for this latest jacket, they have taken the finest features of their original classic softshell and seamlessly married them with those of the classic hardshell. and occupying as it does the classic end of the cycling milieu, the lack of zipped cuffs, coated rear pocket and race-fit are respectfully absent. the latter are the sort of things that get you through a saturday; not a sunday. i recall riding with rapha travel in provence, leaving a most welcoming café to ride up the glorious road along the lanesque gorge into more than just a smattering of french rain. the rider ahead of me had the luxury of wearing a classic hardshell and had the grandeur of the gorge not been occupying my gaze, i'd actually have been quite fascinatedly content to watch the rain baubling and running off the back of the jacket, leaving the rider almost oblivious to the precipitation. 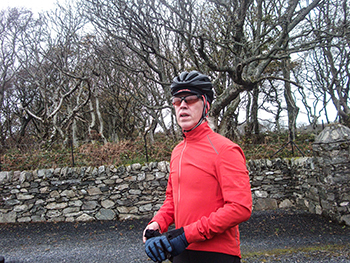 in situations such as the above, when the ride distance was ultimately over 120km, incorporating well over 2,000 metres of climbing, the non-professional would surely be grateful for not only the weatherpoofing but the more relaxed fit befitting a gentleman. the new classic winter jacket is every bit as impressive and then a little bit more. i have always thought that underarm zipped vents would have been as grand an accessory on the hardshell as they were on the original softshell. my wish has now been granted. 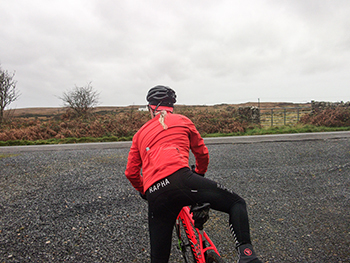 rapha describe this as the most versatile foul weather jacket they've ever made, and on the basis of both my comfort and dryness in the face of withering adversity, i'm inclined to agree. 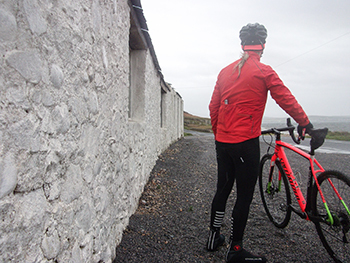 the once inexplicable offset front zip has come to be a desired necessity; the fully taped seams and appreciable breathability both welcome features when puffing and panting in the rain and wind. 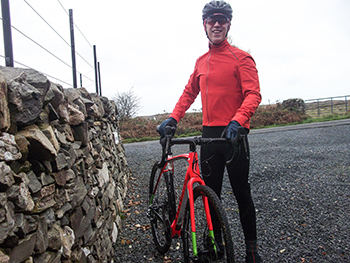 granted, its insulation properties are limited to its highly effective windproofing, but the sizing more than welcomes a cosy layer of long-sleeved sportwool below, coupled with a merino baselayer. the stowaway drop tail that first appeared on the original classic softshell is still there for those no-mudguard-low-visibility-moments, joined by the remarkably well-concealed front pocket (in addition to the four other pockets) and a fully-taped ykk full-length zip. it's the very jacket for each and every one of those non-professional, but ultimately professional escapades. this is the garment you will come to rely on during this year's festive 500, granting access to the rule #9 hall of fame and diminishing the need for adherence to rule #5 by the time the new year's day ride arrives. 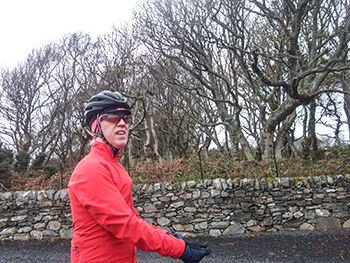 rapha's classic winter jacket is available in sizes from xs to xxl in colours that include chartreuse, dark orange, dark grey and black at a retail cost of £260.